Professor Mendes is a lawyer, author, professor and has been an advisor to corporations, governments, civil society groups and the United Nations. His teaching, research and consulting interests include constitutional and human rights law, corporate law, global governance, public international law (including humanitarian and international criminal law) and international business and trade law. Professor Mendes completed his term as Director of the Human Rights Research and Education Centre on June 30, 2001, and returned to full-time teaching in the Common Law section. He had been Director of the Centre since 1993. The Centre is the oldest University-based bilingual human rights research and education institution in Canada. As Director of the Centre, he was the Project leader for human rights, governance and justice projects in China, Thailand, Indonesia, Brazil, Peru, El Salvador, Sri Lanka and India. Professor Mendes is a frequent speaker and media commentator and writer on democracy, politics, government ethics, constitutional conventions and law, human rights, international law and business across Canada and the world. He has appeared, either as a commentator or columnist, on all of Canada’s major national newspapers and on all the major Canadian television news channels. He is also presently a frequent OpEd columnist in the Globe and Mail, Huffington Post, Canada, iPolitics and the Ottawa Citizen. He has lectured on the above topics in the United States, Europe, Asia and Latin America. He has been invited to present numerous briefs to the Parliament of Canada and has acted as an advisor to the government of Canada in these areas. He has also advised several of Canada’s largest corporations in the area of corporate governance, ethics and compliance. Professor Mendes has also been an advisor to governments, civil society and the global private sector on business and human rights. He worked with the Canadian government civil society and leadership private sector companies to establish an International Code of Ethics for Canadian Businesses, which was endorsed by former Canadian Foreign Affairs Minister Lloyd Axworthy on September 15, 1997. In 1999, in recognition of his work on business ethics in Canada, the Office of the Secretary General of the United Nation invited Professor Mendes to be an advisor on the Global Compact initiative of the Secretary General. Professor Mendes assisted in the development of the Global Compact. Professor Mendes has taught, researched, consulted and published extensively in the area of Global Governance, International Business Law and Ethics, Constitutional Law and Human Rights Law. He is Editor-in-Chief of Canada’s leading constitutional law journal, “The National Journal of Constitutional Law”. He is the author or co-editor of seven books, including the landmark constitutional law text, co-edited with Senator G. Beaudoin, The Canadian Charter of Rights and Freedoms, 3rd and 4th Editions, Carswell, 1996 and 2005 and the internationally recognized texts, Towards a Fair Global Labour market: Avoiding the New Slave Trade, Routledge, New York and London, 1999, (co-authored); Democratic Policing and Accountability: Global Perspectives, Ashgate, U.K., (co-edited); Between Crime and War, Terrorism, Democracy and the Constitution, Carswell, Toronto, 2003 (co-edited); Global Governance, Economy and Law, Routledge, New York and London, 2003. His most recent book published in February 2014 is titled “Global Governance, Human Rights and International Law. Combating the Tragic Flaw” also published by Routledge, New York and London. The book offers a unique perspective on how to deal with some of the most challenging issues facing the world in areas as diverse as failures of global institutions to prevent mass atrocities, global economic crises and involvement of transnational corporations in gross human rights abuses and environmental degradation. Since 1979, Professor Mendes has taught at Law Faculties across the country, including the University of Alberta, Edmonton from 1979 to 1984, the University of Western Ontario, London, Ontario from 1984 to 1992 and the University of Ottawa from 1992 to present. He was a visiting Professor at the Faculty of Law, McGill University and the Université de Montréal in 1992. In 2013, he was a Visiting Fellow at Harvard Law School and gave lectures both at the Law School and the Harvard University Weatherhead Centre for International Affairs. He was appointed in 1995 to a two-year term as a member of the Canadian Human Rights Tribunal Panel. He was re-appointed in 1997. He also has extensive experience as a Human Rights Adjudicator under the Ontario Human Rights Code. In September of 2009, he was appointed a Commissioner of the Ontario Human Rights Commission and was reappointed in September of 2012. 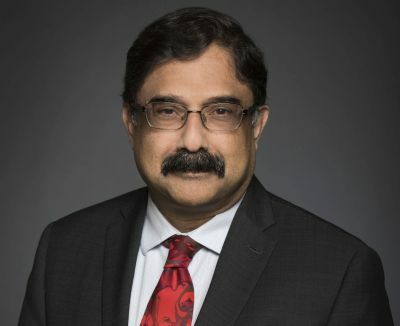 In that capacity, he has helped develop several of the Commission’s new approaches to combating systemic discrimination in Ontario, including the landmark Competing Rights Policy and the presumption of discrimination regarding the use of “Canadian Experience” in employment requirements. Professor Mendes was appointed by the Prime Minister of Canada as a Senior Advisor in the Privy Council Office of the Government of Canada during the academic year 2005-2006. In that position he advised the Clerk of the Privy Council on a range of issues including national security, diversity, national unity, foreign policy and corporate social responsibility. In 2006, he was awarded the Walter S. Tarnopolsky Human Rights Award by the Canadian Section of the International Commission of Jurists and the Canadian Bar Association for his human rights work in Canada and across the world. In 2009, was a Visiting Professional at the International Criminal Court in the Hague, attached to the Office of the Prosecutor. He was active in civil society groups that were key to the establishment of the first permanent global court with jurisdiction over the most serious international crimes. His book on the Court titled “Peace and Justice at the International Criminal Court, A Court of Last Resort” was published in the fall of 2009, in Canada, Europe and North America by Edward Elgar Publishers Inc. He is working on a second edition. In recognition for his work on human rights nationally and internationally, including his work on combating systemic discrimination against racial minorities as a Commissioner on the Ontario Huma Rights Commission and constitutional democracy in Canada and around the world, he was invested into the Order of Ontario on January 20, 2016. On May 25, 2016, in recognition for his decades long work as a legal academic and editor of leading legal publications along with his work as a human rights adjudicator and advocate, he was awarded one of the highest honors of the Law Society of Upper Canada, the Law Society Medal.